Do you soak the raw nuts (for the same reason you soak the brown rice)? Been reading about Paleo stuff lately and they talked about “activating” the nuts. Hey DeShea! Yes, I do always soak my (raw) nuts, usually overnight in salt water. I then dehydrate them for 12-24 hours, until they’re nice and crispy. I find them much easier to digest this way, not to mention even better tasting. Nourishing Traditions is a really great book that outlines this process (and a lot more) if you’re interested. So glad to know you’re reading along! 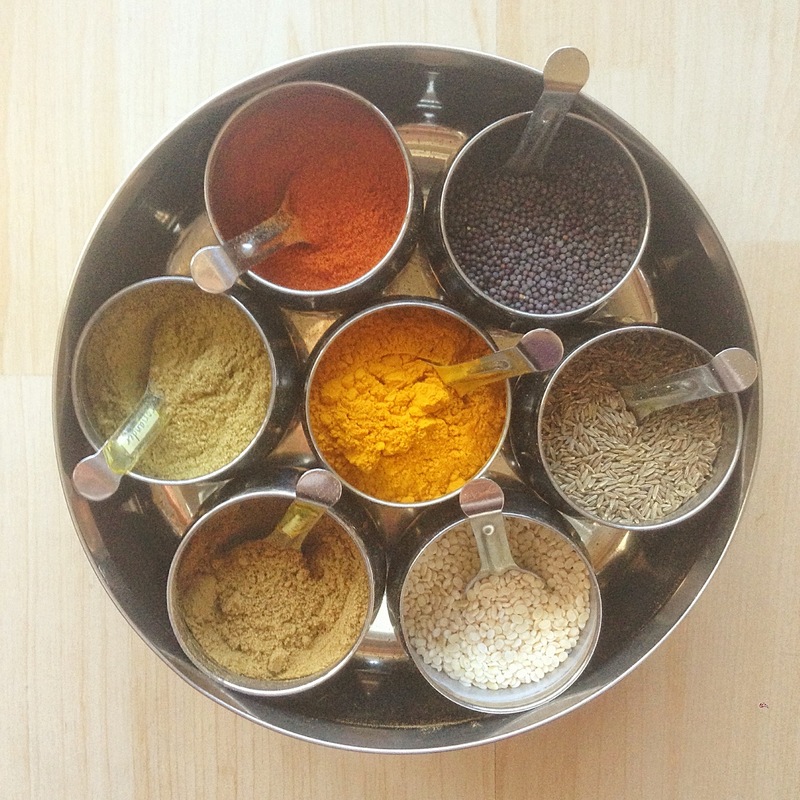 I’ve never cooked Indian food at home before (not counting ready-made sauces out of jars), so I was a little leery giving this recipe a try, but it seemed easy and looked delicious. It was an incredible success! Even my three year old loved it. It’s simply delicious and way easier than I ever would have thought. 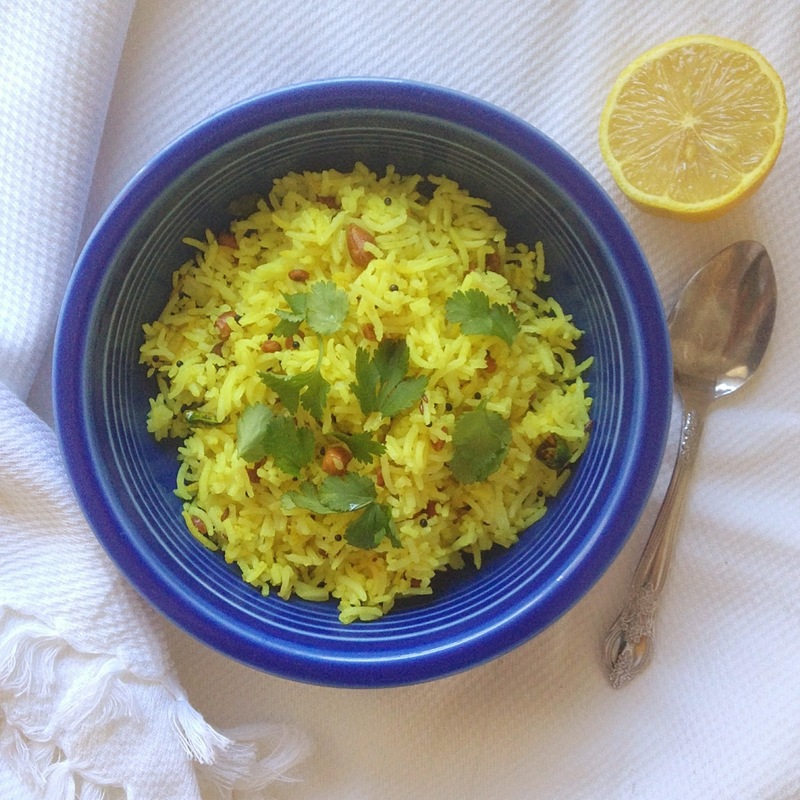 I love that I can make a giant batch of basmati in my rice cooker and then turn it into lemon rice in minutes when I need it. I ended up using cashews instead of peanuts (personal preference), but other than that I followed the recipe as-is. Thanks tons, Amanda. I will definitely be trying out the rest of your recipes!